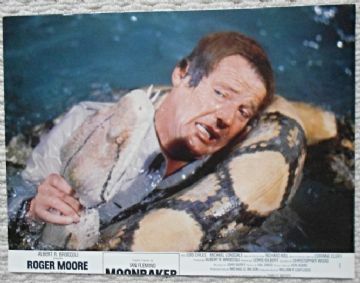 This still features Bond and a Snake fighting! This still is in VG-Fine condition and measures 8" x 10.75". It has been trimmed.